Below you fill find all funeral homes and cemeteries in or near Atmore. Suburbs of Atmore: Canoe, Mc Cullough, McCullough. 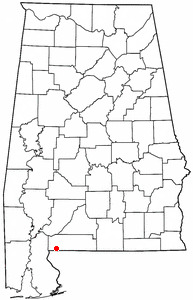 Atmore is also known as: Escambia County / Atmore city. Zip codes in the city: 36502, 36503, 36504. Some of the notable people born here have been: Evander Holyfield (professional boxer and actor), Don McNeal (american football player), and Ron Middleton (american football player and coach). Atmore is a city in Escambia County, Alabama, United States. The city has a culture similar to its neighboring metropolitan of Mobile, Alabama. 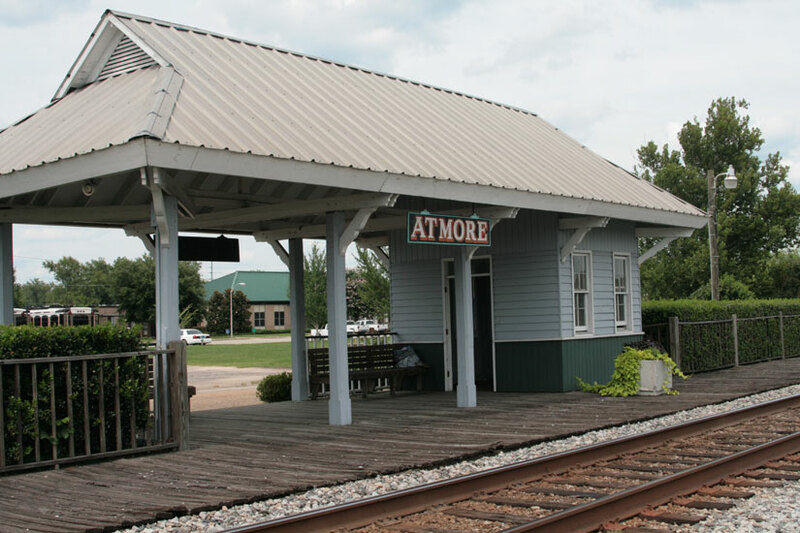 Atmore is in the planning stages to increase its economic base with additions in its new Rivercane development along the I-65 corridor.Atmore has completed requirements to be recognized as an Alabama Community of Excellence at the upcoming Alabama League of Municipalities Convention. City officials are also working with Alabama Historical Commission to have the downtown district listed on the National Register of Historic Places.On May 23, 2007, Atmore celebrated its centenary.The federally recognized Poarch Band of Creek Indians is also headquartered in Atmore. It was reported on March 8th, 2018 that Glenn Roy Henderson passed away in Atmore, Alabama. Henderson was 50 years old and was born in Ft Smith, AR. Send flowers to express your sympathy and honor Glenn Roy's life. It was reported by Chicago Tribune on October 12th, 2017 that Ronn Carter Stewart died in Illinois. Stewart was 42 years old and was born in Atmore, AL. Send flowers to express your sorrow and honor Ronn Carter's life. It was disclosed on December 29th, 2016 that Hazel Elizabeth Morgan (Marshall) perished in Mississippi. Ms. Morgan was 83 years old and was born in Atmore, AL. Send flowers to express your sympathy and honor Hazel Elizabeth's life. It was written by Sarasota Herald-Tribune on September 18th, 2016 that Raymond Lester Gulsby passed away in Port Charlotte, Florida. Gulsby was 72 years old and was born in Atmore, AL. Send flowers to express your sympathy and honor Raymond Lester's life. It was reported by The Sun Herald on June 10th, 2016 that Arthur Lee Sr "Sunny Boy" White passed on in Gulfport, Mississippi. White was 76 years old and was born in Atmore, AL. Send flowers to express your sympathy and honor Arthur Lee Sr "Sunny Boy"'s life. It was written on May 26th, 2016 that George Haley passed on in Atmore, Alabama. Haley was 84 years old. Send flowers to share your condolences and honor George's life. It was reported by Register Guard on April 17th, 2016 that Rebecca Diane Stanton (McDowell) passed on in Junction City, Oregon. Ms. Stanton was 68 years old and was born in Atmore, AL. Send flowers to express your sorrow and honor Rebecca Diane's life. It was revealed by Sarasota Herald-Tribune on November 23rd, 2014 that William K "Bill" Wiggins passed on in Pensacola, Florida. Wiggins was 92 years old and was born in Atmore, AL. Send flowers to share your condolences and honor William K "Bill"'s life. It was revealed by Milwaukee Journal Sentinel on August 20th, 2014 that Christine R Hunt (Rush) passed on in Wisconsin. Ms. Hunt was 87 years old and was born in Atmore, AL. Send flowers to express your sorrow and honor Christine R's life. It was revealed by Columbus Dispatch on March 18th, 2013 that Betty J Moore (Jefferson) passed away in Columbus, Ohio. Ms. Moore was 76 years old and was born in Atmore, AL. Send flowers to share your condolences and honor Betty J's life. Atmore is a city in Escambia County, Alabama County, Alabama, United States. Atmore. [http://www.census.gov/popest/cities/files/SUB-EST2005-all.csv] The city was named for Mr. C.P. At the United States Census, 2000 census the population was 7,676. The official website for the city of Atmore is http://cityofatmore.com/. Hall. Marlon G. Hall, 29, of Pensacola died Wednesday, Aug. 15, 2012. Visitation: 11:30 a.m. Saturday at Milton First Assembly of God until services begin at 1 p.m. Lewis Funeral Home in Milton is directing. We work with local florists and flower shops to offer same day delivery. You will find budget sympathy flowers in Atmore here. Our funeral flowers are cheap in price but not in value.